Morton Fine Art, a gallery that is off to the side of the U Street Corridor in Washington D.C., fills in a niche for vibrant artists of color that are pushing boundaries and expectations on art and its potential. Mixed-media installation artist Amber Robles-Gordon's solo exhibition Third Eye Open, which closes on May 20th, was comprised of 8 assemblages produced in 2018, and presented the meeting between the physical world and the intuition of human experience. 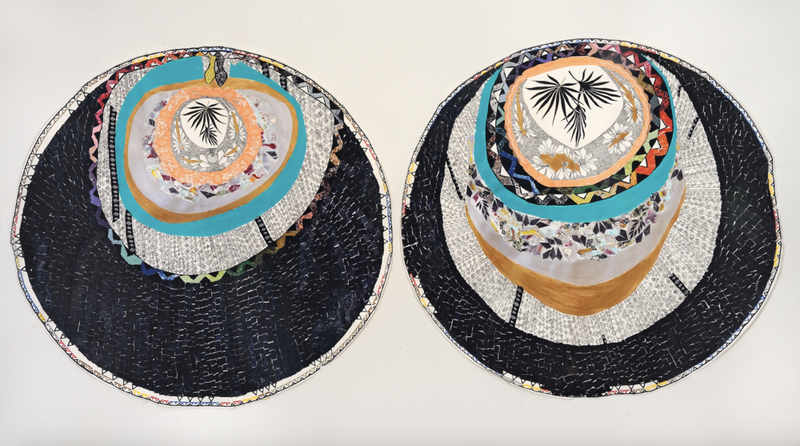 The chosen forms of the show – circles and ovum – alluded to the ongoing cycle of inserting and patterning elements for self-discovery, incubation, and introspection. 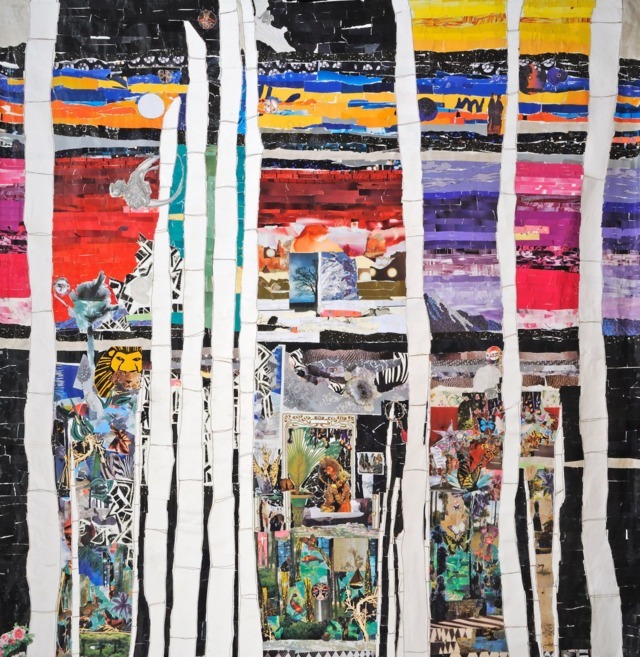 Throughout, Robles-Gordon explored abstract art's potential for demonstrating spiritual growth and emotional connection on a metaphorically cosmic scale – where the rules of time and gravity fall to the wayside. Her work is multilayered; upon first glance there is an overall image presented of cellular circles that contain significant amounts of patterned dark matter, or space, and then heavily layered nuclei that are brightly colored with strategically placed materials giving balance to the form. Then, upon closer inspection, one discovers tiny details, be they altering textures or hand drawn ink strokes, all seamlessly weaving their individualities into the cohesiveness of the piece. Her art is steeped in duality and the connection to divine feminine, an examination of what femininity means and how it is viewed in relationship to the masculine. Her spirals are comprised of bits of lace, portion of a blouse, lanyard reminiscent of childhood art endeavors, and other found materials that represent the realm of womanhood. The pieces spiral, reminiscent of kundalini energy, further enhanced by the subtle abstract snakes that are strategically woven into the tapestries.